Designed based on feedback from healthcare professionals, our Airgo ProCare IC wheelchair exceeds institutional standards of quality and features touch points which are easy to both clean and disinfect. It’s streamline design along with mag wheels combine to make it lighter and more durable. 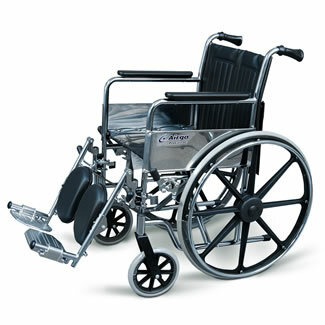 This affordable wheelchair also features dual axle positions that allow for varying seat-to-floor heights, sealed bearing assemblies, and unique ergonomic handles. Please note: Your revision number is located on the crossbar under your seat.